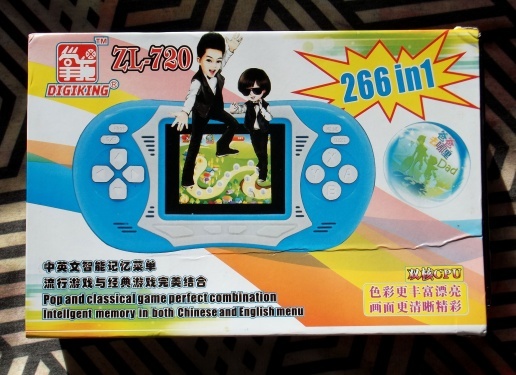 A handheld console by Guangzhou Toycenter Toy Firm under their Digiking brand. Based on VT03 or some derivative of it. The packaging claims a "dual core CPU", which I think technically the VT168 and others do have, but if it has one of those inside it's not really utilising it. 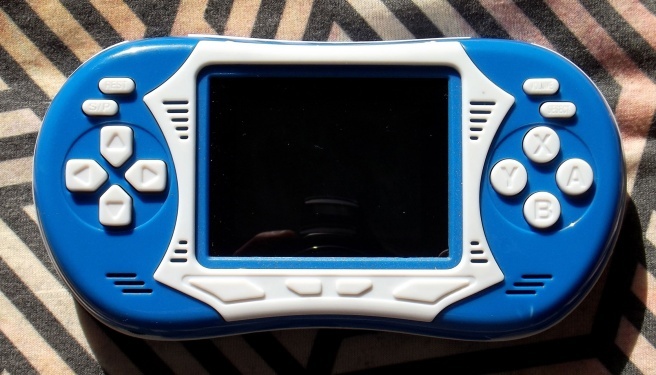 There are two models, ZL-720 and ZL-720A - the 720 can only be powered by 3x AAA batteries, whereas the 720A can be powered by either AAAs or a lithium battery, chargeable through (probably) MiniUSB. 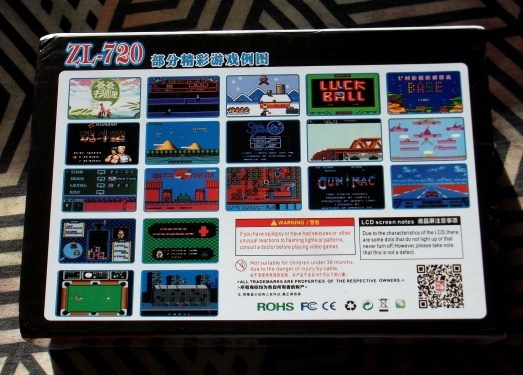 The version I have is a 266 in 1, but there may be variants with different game counts (especially considering that the side of the box says "220 in 1"). 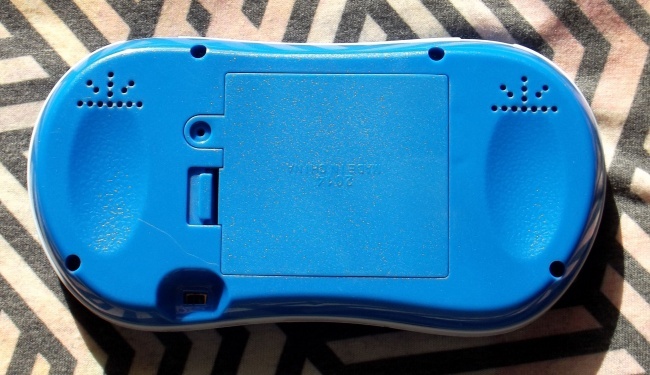 This is a 720, but it still has all the cutouts in the case for lithium battery contacts and the charging port, they're just empty. It has a TV out, but for some reason all the VT03 games are horrendously miscoloured when using it - they're fine on the LCD screen, and regular FC games are fine on the TV. Seems to repeat after 106. The menu is in both Chinese & English and plays a rendition of some music which I assume is from the TV show "Where are we going, Dad?" judging by its appearance in games based on the show. This page was last modified on 15 April 2015, at 00:05. This page has been accessed 1,473 times.